Art Glass is the new modern award. Available in many colors and sizes, you will be sure to be a big hit when you present these. Room on the base for 3 or 4 lines of engraving. Comes in a lined presentation box. 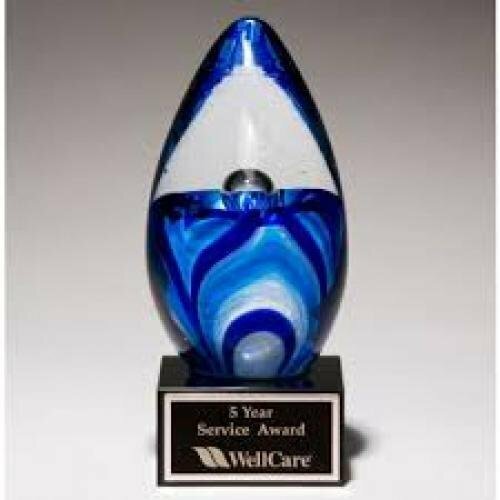 We keep this art glass award in stock if you need one quickly. *Art Glass awards are hand made, air bubbles and color variations are common.